A closer look at a natural skincare indie darling. Note, as these are all natural ingredients they have that very all natural ingredient smell- herbaceous and definitely not perfumed. You put 7-8 pumps in your hand, apply to dry skin, work in it a little and then splash water to create a milk. It works fairly well and took my makeup off in two cleanses, but it did sting my eyes a bit. Not to the level of Shea Moisture Peace Rose Cleansing Oil levels of OMFG WHY YOU BURN!!! levels, but definitely not comfortable either. To be fair though, this product wasn't advertised to remove makeup, they have have separate product for that, so it's really meant to be a morning first cleanse or evening second cleanse. In that context, it does work effectively just be careful around the eye area. This is one of the products I have deemed "DIY" as its a dry, powdered formula that you mix with water to make a paste and then scrub a dub dub away. It's a little messy, and smells like oat bean, given that it's made of crushed oats. The smell didn't bother me and I found it to be surprisingly not too abrasive. Sharp, abrasive scrubs aren't good for the skin, people! It's okay, but didn't do it for me like the Oskia Exfoliating Balm does. It dries down fairly fast and the pink clay in it is supposedly to gently deep clean. 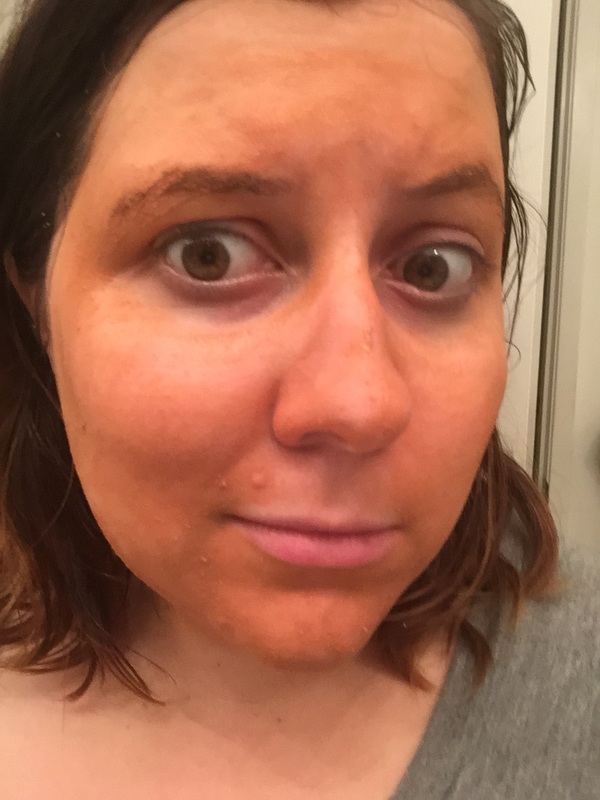 It's basically an orange colored clay mask that smells a bit like Mediterranean spices. If you like clay masks and don't mind a bit of a mess, this is in your wheelhouse. Made of rose water and apple cider vinegar, I actually really like this product! It's refreshing and doesn't smell too floral or too acidic, and felt as a spritz toner should. Since my face has had a bit of breakout recently, I'm hoping this helps. Simple and does the job. I put a few drops on and it doesn't feel too greasy. It definitely has an almost grassy, olive oil smell and it's quite moisturizing. I tested out both the Lemon Eucalyptus and Lavender Bergamot deodorants, the only two they currently make, the past two days, and as far as I can tell they perform just as well as my regular deodorant just minus the aluminum. It doesn't seem to react with my body chemistry in a way that leaves a strange, unpleasant at the end of the day the way the Nuxe deodorant I got in France does, so if you're looking for a more natural deodorant alternative, you'd probably love this but I recommend ordering the samples to see if it works with your chemistry. Overall, I think this a nice indie brand that is poised to be become pretty popular and can be a good alternative if you're looking for less ingredients in products and wanting to support small business.